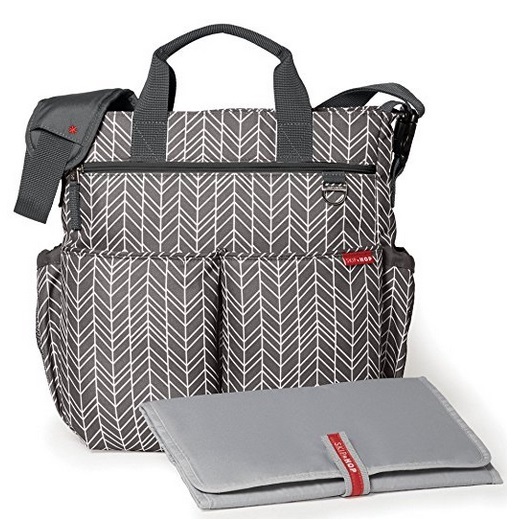 Home > Baby > Amazon: Skip Hop Messenger Diaper Bag With Matching Changing Pad, Duo Signature, Grey Feather Only $32.47 + Free Shipping! September 16, 2018 Comments Off on Amazon: Skip Hop Messenger Diaper Bag With Matching Changing Pad, Duo Signature, Grey Feather Only $32.47 + Free Shipping! Amazon has the Skip Hop Messenger Diaper Bag With Matching Changing Pad, Duo Signature, Grey Feather marked down to just $32.47 + Free shipping! 18 total pockets including two mesh side bottles, front zip pocket, easy access pocket and machine washable cushioned changing pad.